The vocation of Religious of the Sacred Heart is to go to the heart of life with the attitudes and feelings of the Sacred Heart of Jesus. 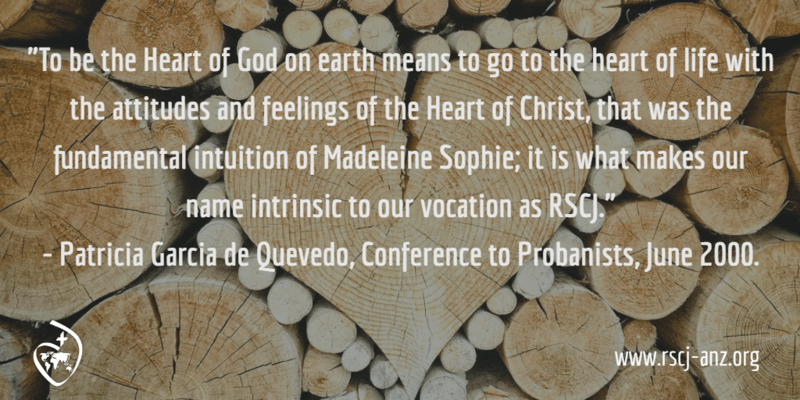 – when you hear the expression ‘to be the Heart of God on earth’ what does it mean to you? – what would you say are the attitudes and feelings of the Heart of Jesus? – how do you express the attitudes and feelings of the Heart of Jesus in your life?